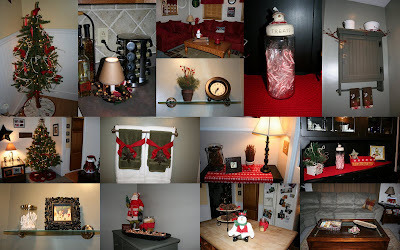 Ok, I have to admit..the pics for today’s “Tour My Home Thursday” are not only Christmas pics (I know, a little late..LOL!!) BUT they are also from LAST year. In the past month or so, I have had to replace the hard drive in my laptop, so I have lost most of my house pics. Some of the decorating changed this Christmas BUT a lot of it stayed the same. Anyway, I hope you all enjoy, just the same..